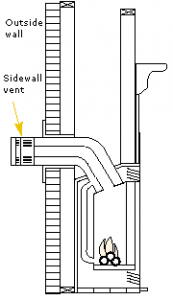 Much progress has been made in gas fireplace technology in recent years. What you choose will depend on your situation and personal preferences. Three basic types of gas fireplaces are widely available; inserts, zero-clearance units and free-standing designs. Your biggest challenge will be sorting through the wide range of models available to select a unit that is as efficient as possible and that suits your particular needs. Gas fireplace inserts are meant to be installed in an existing fireplace cavity, to convert a wood-burning fireplace to use natural gas or propane. The gas burner and simulated logs are contained in a special metal housing that fits into the existing fireplace cavity. The unit has a glass front for viewing and a decorative metal trim. 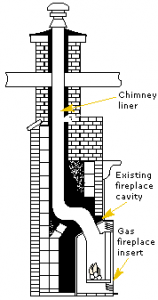 Existing chimneys must be relined with an approved vent when a gas insert is installed. Free-standing fireplaces resemble wood-burning stoves. All surfaces are exposed, so these fireplaces tend to be more effective in supplying heat to a home since heat is not lost up the chimney or in wall cavities. A Gas Safe registered engineer has been checked to make sure they are competent and qualified to work safely and legally with gas. Every engineer will carry a Gas Safe Register ID card with their own unique licence number, showing the type of gas work they are qualified to do. Before any gas work is carried out, always make sure you ask to see their Gas Safe Register ID card. 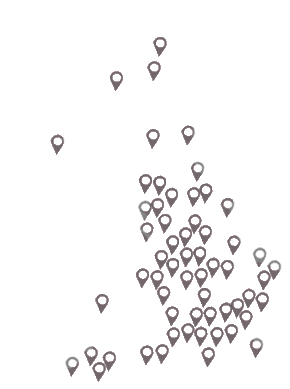 In England and Wales, there are only two routes to legally install a domestic solid fuel, wood or biomass burning appliance. 2. The consumer applies to their local authority building control department for a building notice, and pays the appropriate fee (possibly up to £300). It is generally much simpler and cheaper to use a HETAS registered installer like Firecraft that will leave you with a Certificate of Compliance as a record of the job and that it complies with Building Regulations. A copy of the certificate is forwarded to HETAS who notify the local authority on you behalf. Failure to notify the work through the registration scheme (in this case HETAS) or directly to the local authority can lead to enforcement. It can also cause problems for future house sales if there is no official record of a compliant installation. How Should I Prepare My Home For the Installation of a new Fireplace? Adequate preparation is an important step. Since each home and fireplace is different, there can be a variety of different steps required in order to properly prepare your home for the installation of your new fireplace. For example, If you are installing a gas fire, you will need to have a suitable transitional chamber so as to comply with current regulations and manufacturer instructions. If you are a relatively handy homeowner, then you may be able to carry out some of the building work prior to installation, this may help to minimise the labour on the part of the installer. When preparing for the installation itself, you can remove rugs, electrical equipment, wall-mounted pictures or other decorations, and furniture from the room where the installation will happen. Furniture which you leave in the room can be covered with sheets to protect against dust or debris which may be stirred up during installation of your new fireplace. Because modern houses are more airtight and have more powerful air-exhausting systems, there is a greater chance that combustion products – sometimes containing deadly carbon monoxide gas – will linger inside your house and build up to dangerous levels. A certified carbon monoxide detector located close to fuel-fired appliances (such as furnaces, fireplaces, space heaters, wood stoves and gas or propane refrigerators) will signal a potentially dangerous situation that must be corrected immediately. Symptoms of low-level carbon monoxide poisoning are similar to those of the flu – headaches, lethargy and nausea. If your carbon monoxide detector goes off, leave your home immediately, call your gas distribution company and seek medical attention.If you operate a conventional wood-burning fireplace (which can often leak carbon monoxide), install a carbon monoxide detector near the fireplace.